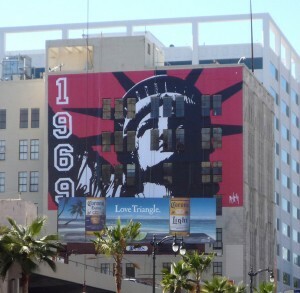 Two Los Angeles city agencies have opened investigations into possible violation of city ordinances stemming from the placement of illegal supergraphic signs on buildings owned by the CIM Group, according to an official in the City Attorney’s office. Ban Billboard Blight was told that the investigations, by the Community Redevelopment Agency and the Department of Building and Safety, would receive the full support and assistance of the City Attorney’s office. 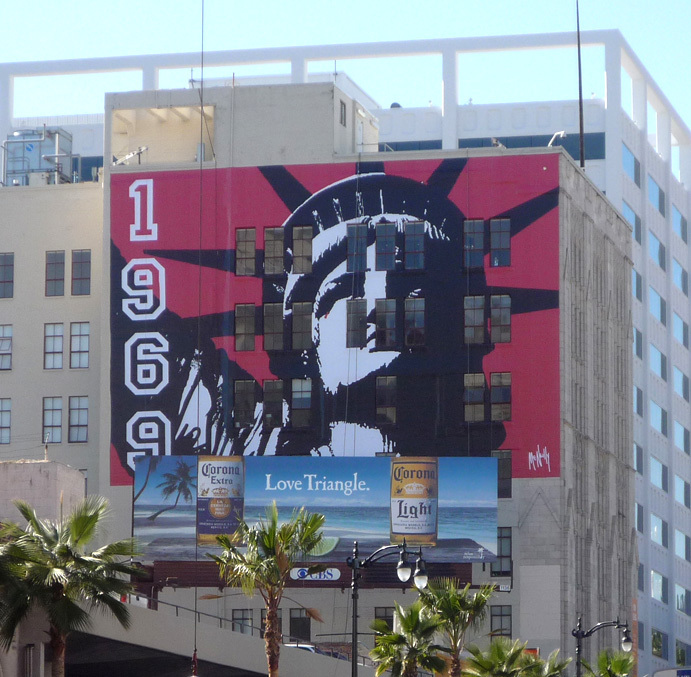 The fact that CIM group, a major development firm, has allowed unpermitted advertising signs to be erected on some of its properties was brought to light last week in an article by David Zahniser in the L.A. Times. According to the article, the company has received multi-million dollar subsidies from the Community Redevelopment agency for some of those same properties. CIM Group is a major property owner and developer in Hollywood and downtown L.A., and has developed projects or has projects underway in other cities, including Santa Monica, Pasadena, Anaheim, and San Jose. According to City Ethics Commission reports, the firm spent almost $1.3 million lobbying city agencies on behalf of its projects in the past five years. In addition, persons listed as CIM group executives and employees have contributed $54,000 to city election campaigns since the 2001 election. The major recipients of this largesse have been Mayor Antonio Villaraigosa, $12,000, Councilmember Jan Perry, $3,000, and Councilmember and City Attorney candidate Jack Weiss, $2,250.